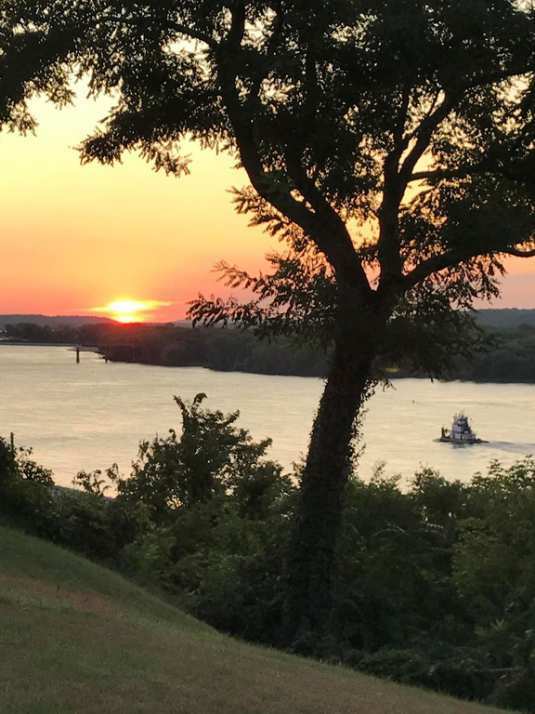 Historic PM Musser home, built high upon the bluff overlooking the mighty Mississippi River. 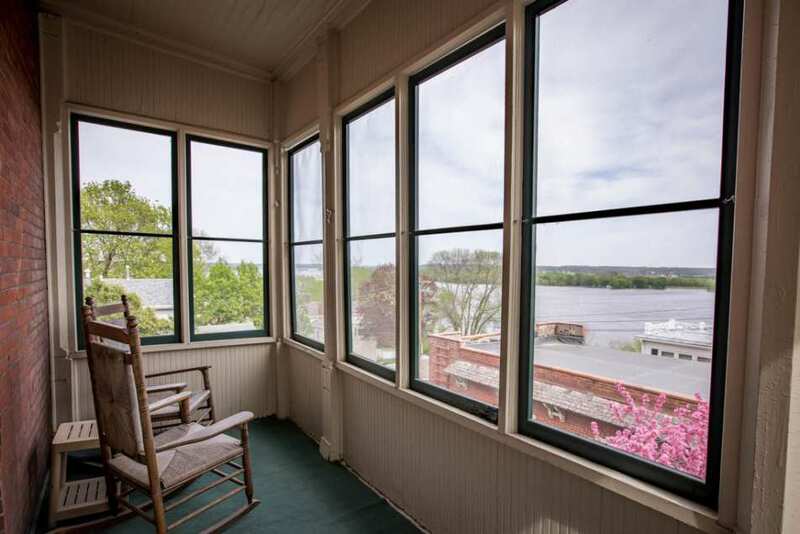 Enjoy panoramic river views from almost every room in this home. 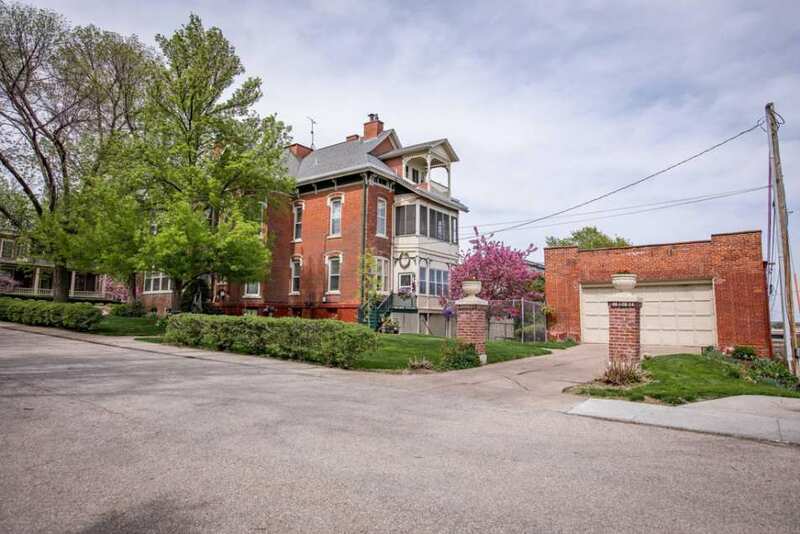 This fantastic one of a kind home was built for the PM Musser family in approximately 1866 .The Musser family business was mill working so this home has the best available moldings and finishes for its time. 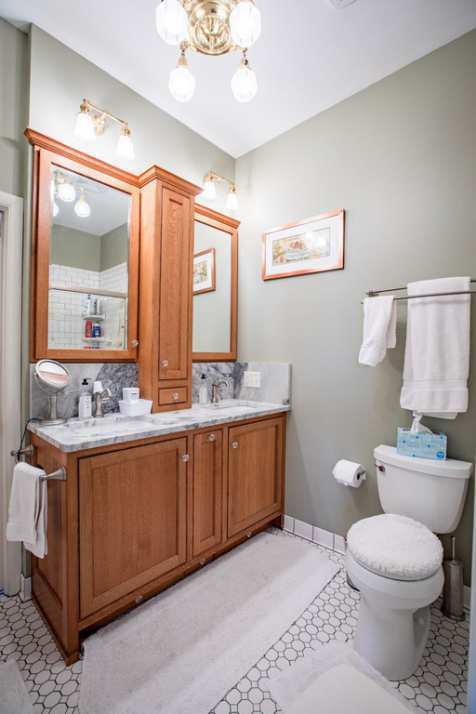 The original custom details are stunning and include Cherry, Oak and Maple. 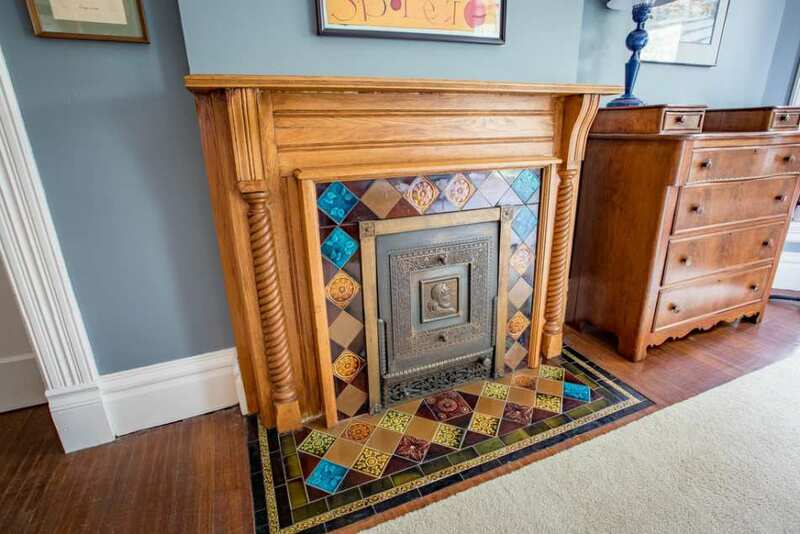 There are 7 unique tile and marble fireplaces and many are still operational. 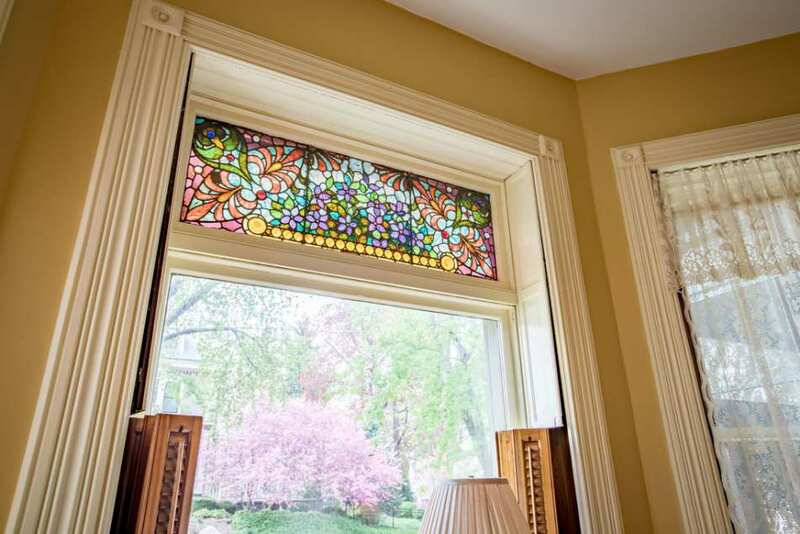 The original stained glass throughout is in great condition and very detailed. Eastlake hardware complements the doors and windows and there are built-it shutters on many windows. 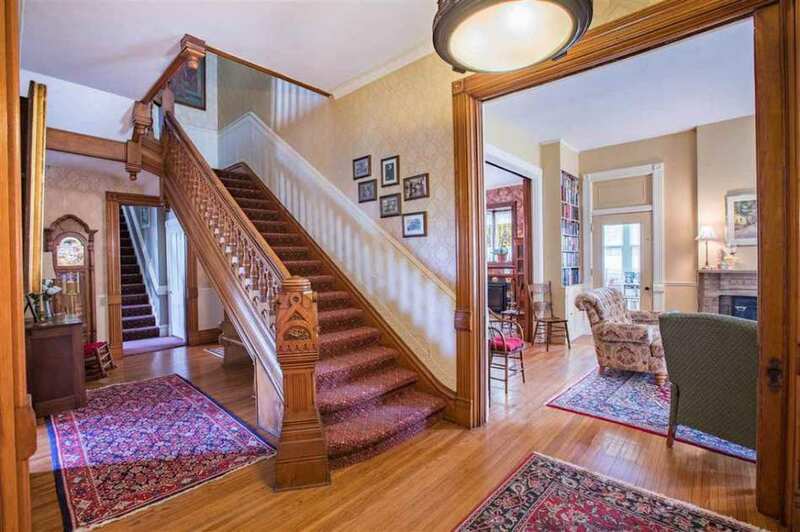 The grand entry was built to impress and features a massive open stairway with a Cherry banister and hand carved newel post. 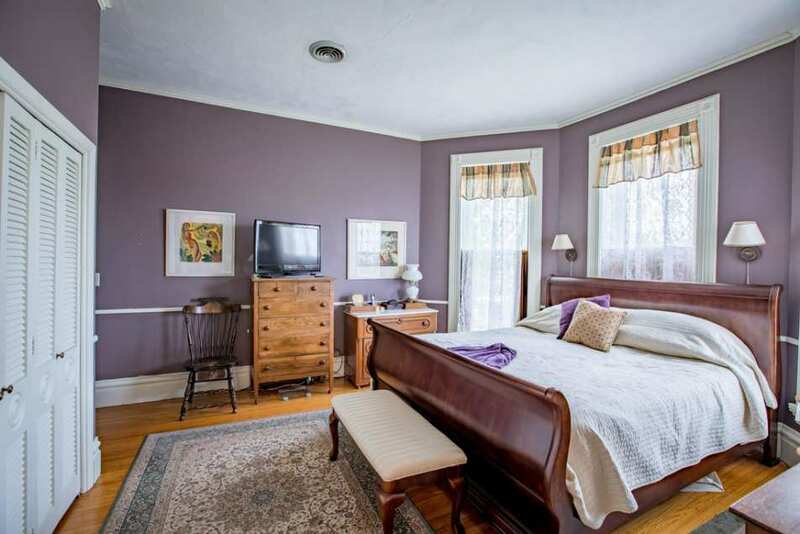 There are 3 sitting rooms/parlors with fireplaces, a large dining room, sunny four season porch, and a wrap-around screen porch making this the perfect home for entertaining. 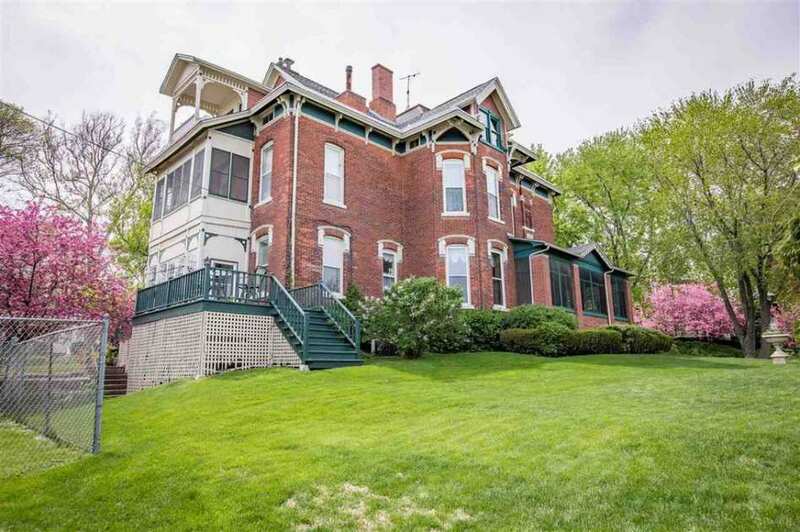 The state survey and the National Register, linked up top, states the home was built in c. 1885 so perhaps the description is a typo? My guess is that Jim will find that there was an earlier house, which was likely razed when the GEM we see today was built. Considering the prime location of the lot, it wouldn’t be a surprise. 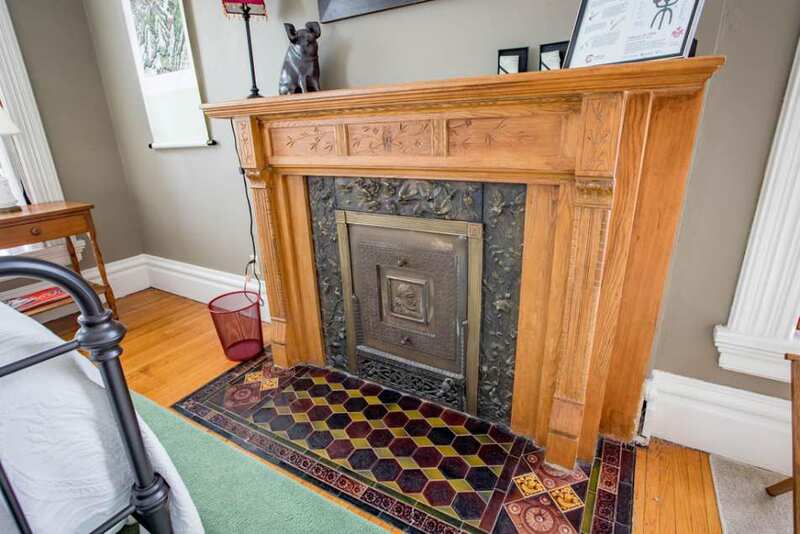 I can’t remember the last time I saw a house with ALL of it’s FINE fireplaces still in their glorious original condition. 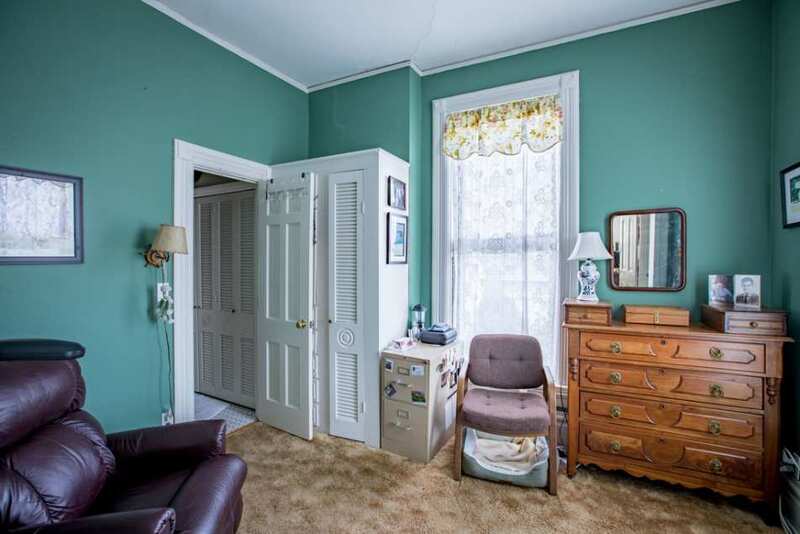 I have no doubt that at least once along the way SOMEBODY wanted to paint at least one or more bedroom examples. Thank God cool heads prevailed! 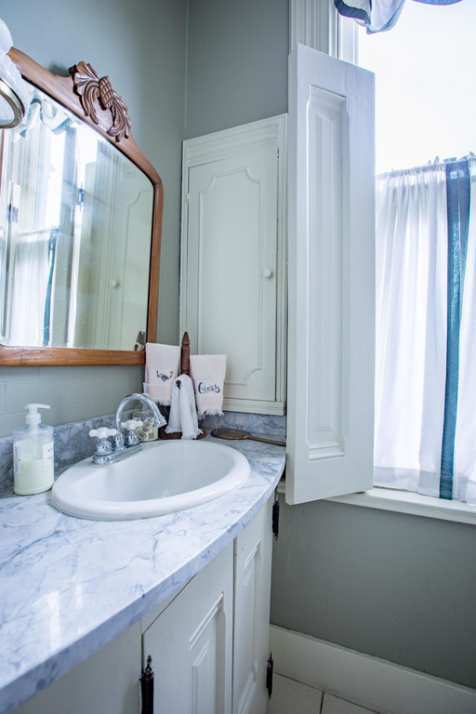 What a wealth of wonderful tile, carvings, and art glass throughout! I could spend hours going through this one, examining and delighting in each superb example. 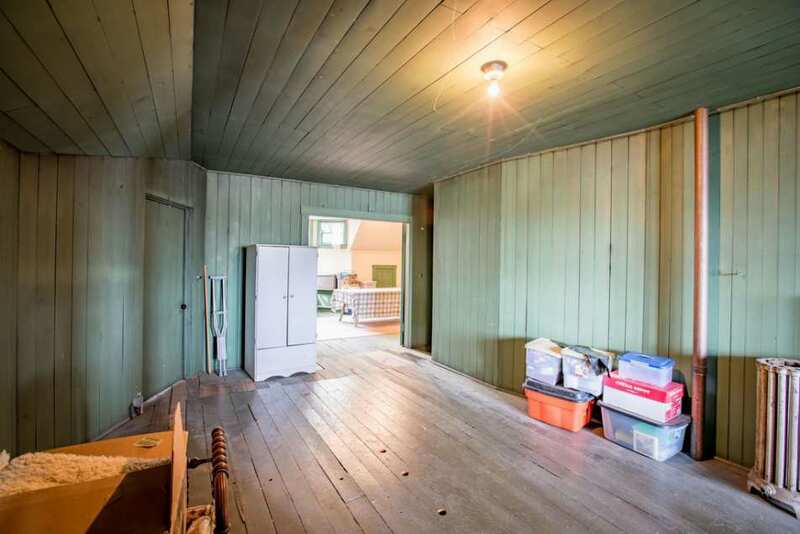 Imagine OWNING a house this fine and well preserved. 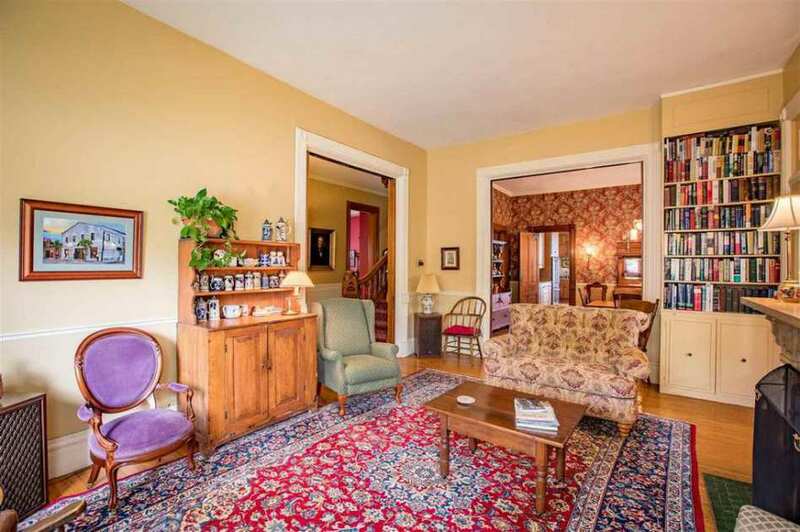 Sigh… I was actually VERY surprised to see this level of very fine, Aesthetic Period, interior elements. To my eye, the exterior, (though quite nice), can’t hold a candle to what is found within. 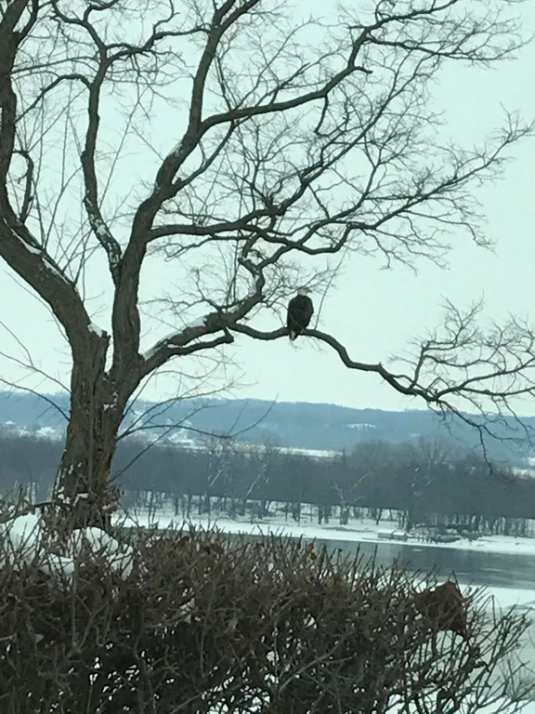 A real survivor! If this house retained it’s original lighting – – – man. Nice. Fantastic fireplaces and kitchen. It’s lovely. 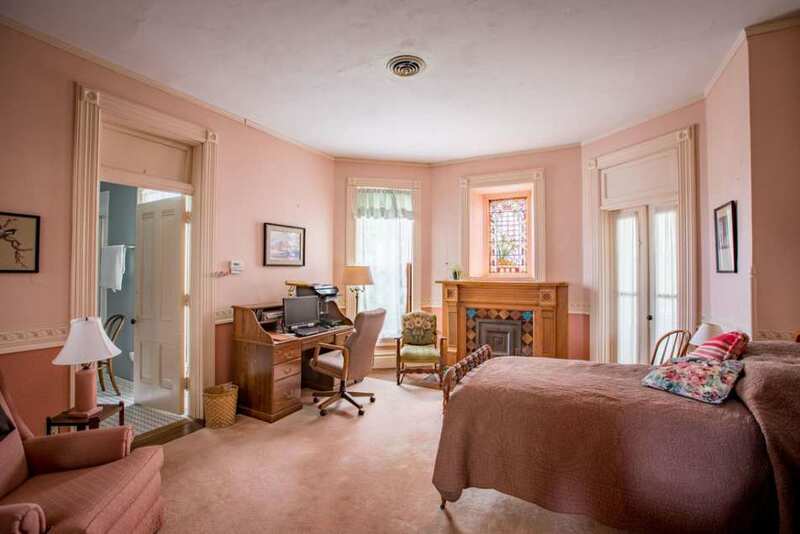 1865 is definitely wrong to what the house appears today. Unless it was totally overhauled in in the 1880s. 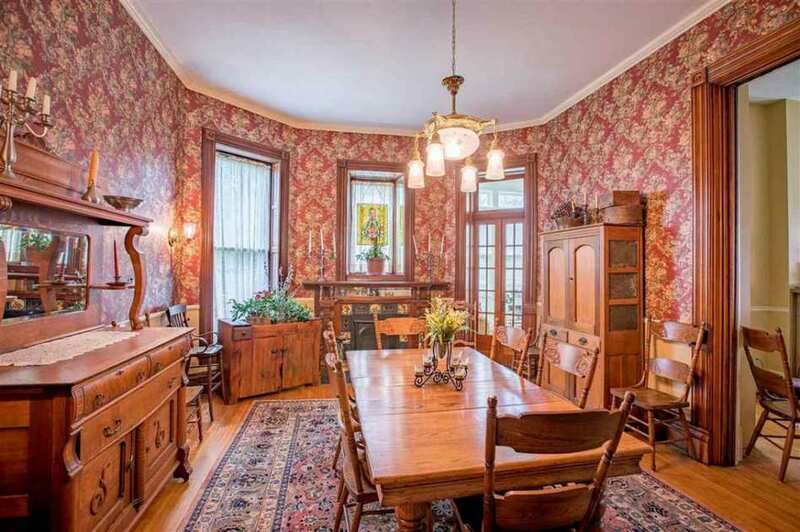 Everything about this house WREAKS of the 1880s. 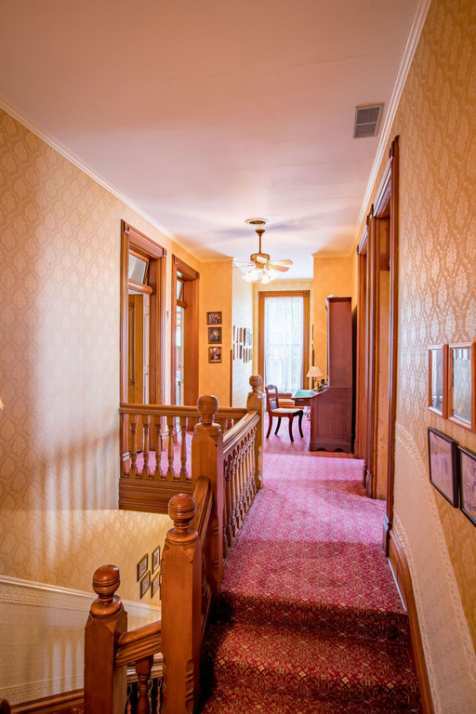 The art glass window designs, the intricate railings in the hall, the unique lines in the marble fireplaces. I LOVE THIS HOUSE! Has so much original details. I would buy and restore back. 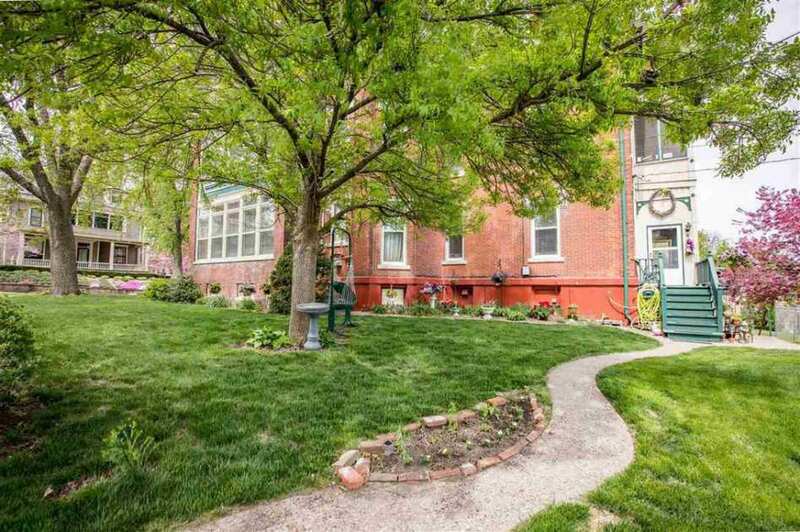 First thing I’d do is return the front porch into an open porch and try and bring back the original railings. 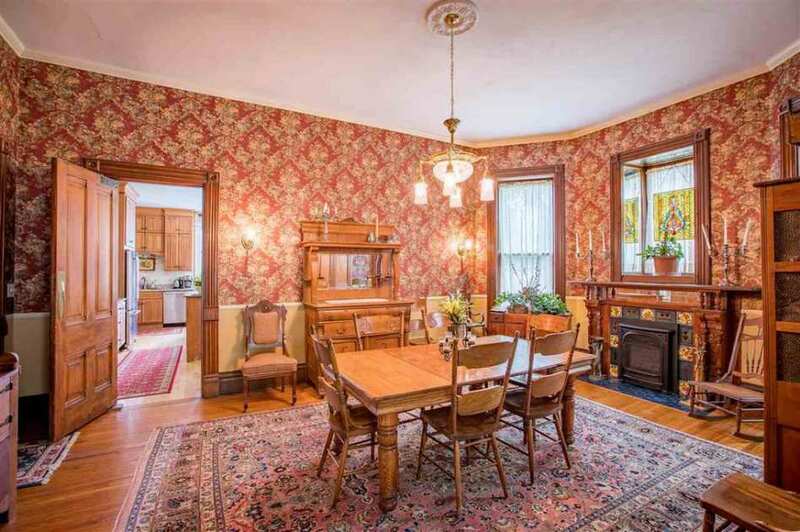 I highly down this 1880s house would have brick columns. They look 1920s to me. 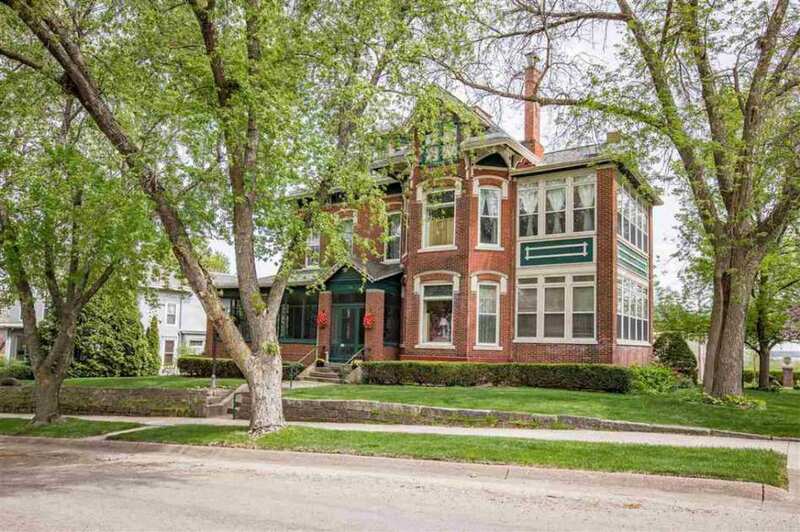 I would bet the double decker side glass porches or rooms were added in the 20s or 30s as well as the garage. 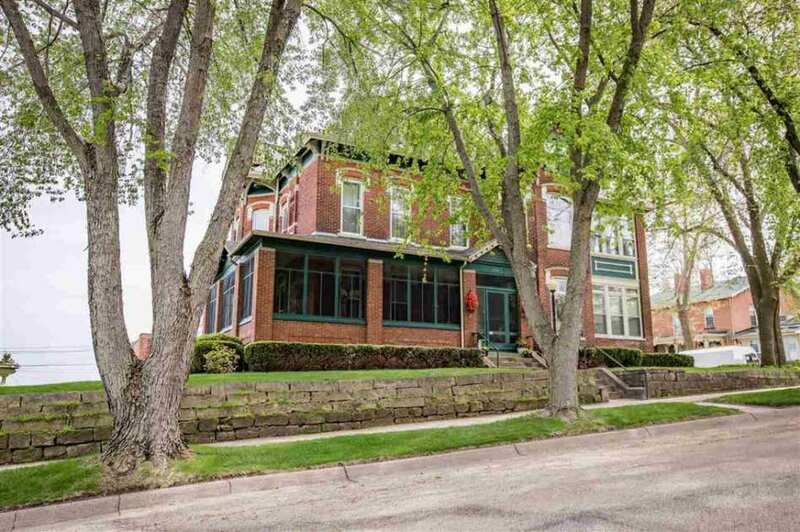 That very boxy brick design, isn’t that cohesive with the 1880s house. 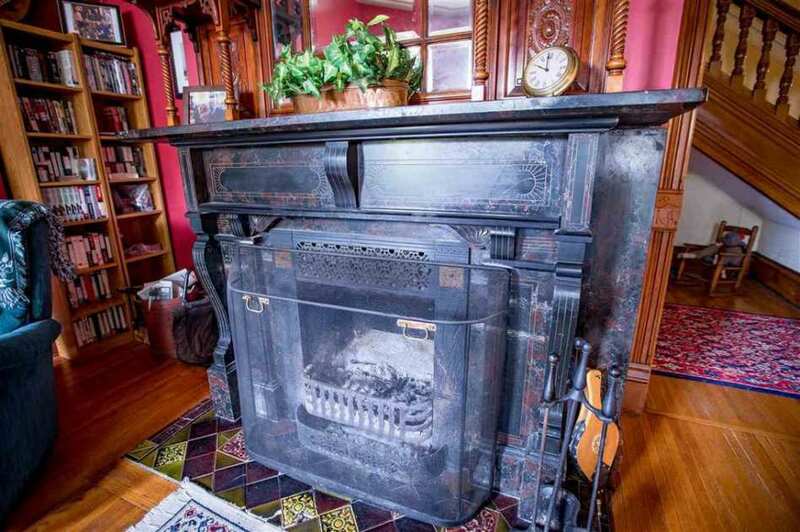 I bet the split flue chimney in the dining room had a stained glass window in it at one time like the one in the bedroom. So much heaven in the interior. The National Register report I linked to describes the updates and about what years. Thanks for the link to the Iowa Historic Survey as well, Kelly. It goes into extensive detail and is worth reading. They are convinced about the 1885 date as well. MJG is pretty close with his observations about the porch as well as the garage changes. Oh I didn’t see that!! I’ll check that out. Maybe I’m wrong. Wow how informative that documentation is. I just skimmed it now. It mentions there is a circa 1890s photo. I wish they had that photo in the article. If it was I missed it. 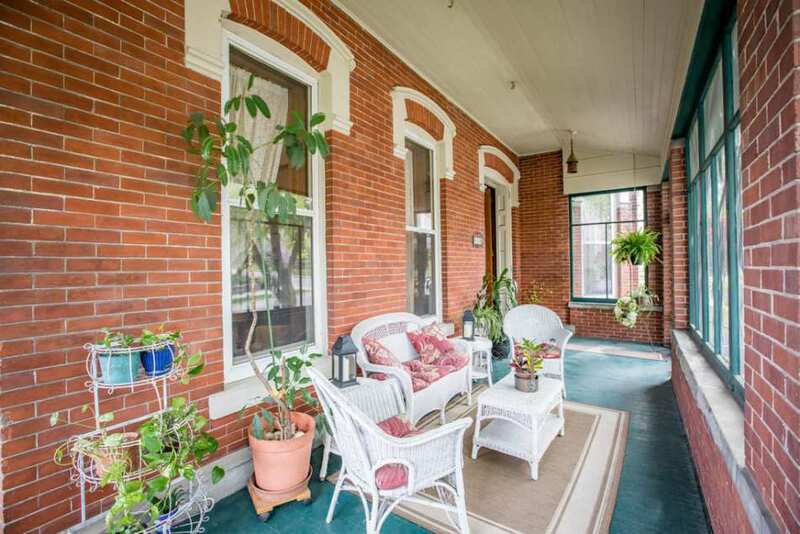 I’d love to see what the original porches looked like. 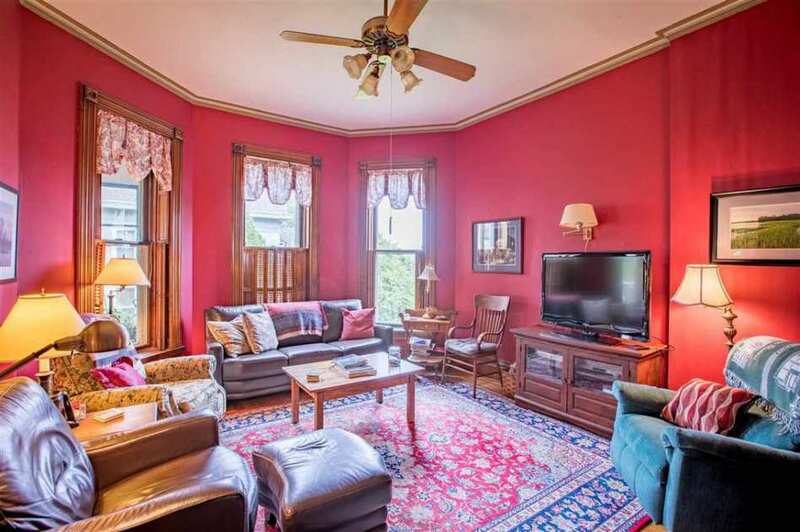 This house is fantastic. 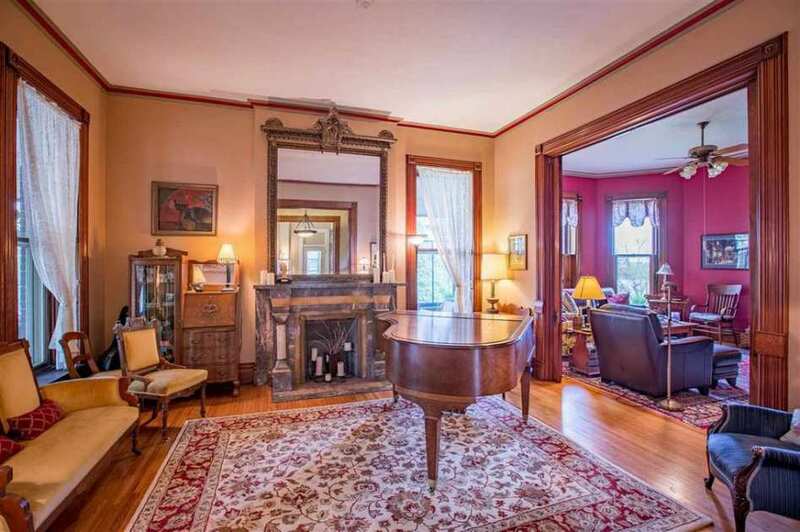 If I’d buy it I would rip out all the 20s era stuff and redo the 1880s design porches again. Maybe restructure the garage to look more like a carriage house of the 1880s. Muscatine sure had a ton of nice houses. I wonder how many of them still are standing, and in what shape they are. Also, I always thought Iowa was flat, flat, FLAT! I see the city has some hilly areas. I wonder what the Grotto and Wildcat’s Den look like now. I hope these areas are in parks, and cared for. So pretty! I agree about the missing art glass panel in the DR magic window. What an odd loss considering the pristine nature of all of the other decorative elements. Hi Rosewatwr. 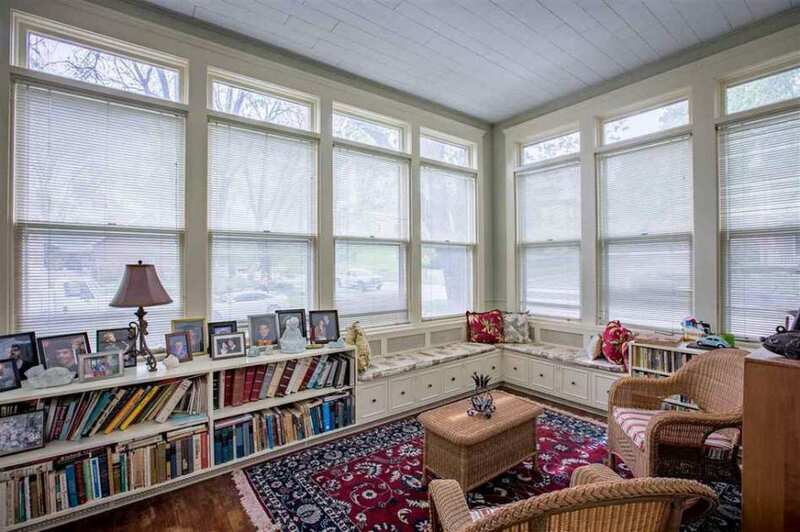 I do like sunrooms too. But they too can be executed on a way that matches the house better. So you can actually rework the style to look like they were built in 1880. On this house i think it’s doable. I’ve never heard it called a magic window. I’ll look that up. So far I know of split flue and diverted flue window. I wonder if a tree fell and smashed the window. Or maybe it was too outdated for someone in the twenties and removed it or possibly is still in the house stored away. Hey M. Yeah; I get that. Realistically though; who’s going to tear down perfectly serviceable, vast, and FAB space for aesthetics and stylistic purity – in Muscsataine, IA? I’d think the cost on the back end would probably not be realizable in a future sale; and in my book it would surely be a detriment. Really; who cares what the outside looks like when your interior looks like THAT. 😉 Follow this link to a good example of quite dramatic example of architectural stylistic impurity. What’s your call there? 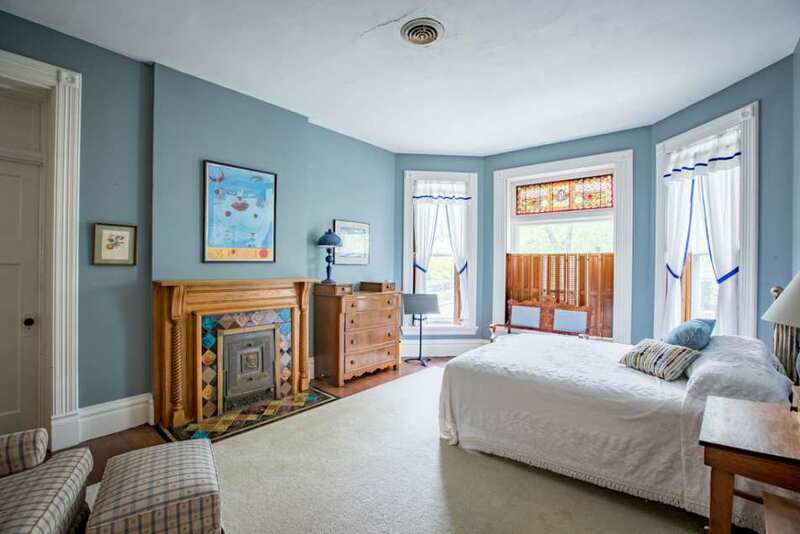 https://www.oldhousedreams.com/2016/08/15/1882-queen-anne-huntington-in Also; you might find an example of “magic window”; I did when we, (OHD), were having this conversation some years back. I mostly call them that because that’s what my grandmother called hers; and I guess you can possibly understand why. 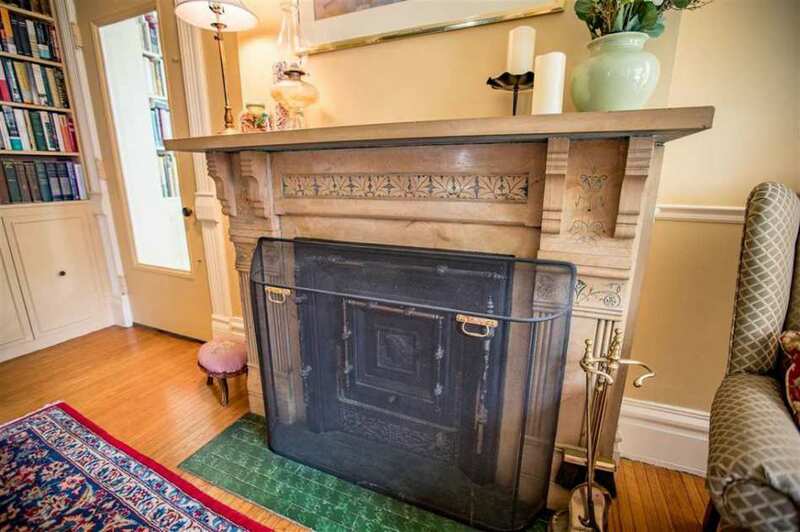 Ever see a “magic fireplace”, (think along the same line)? Heheheh. I’ll see if I can find an example. Cheers yo. My obsession is 100 percent period to 1870-1890s. Yes maybe a little Abnormal to most but just how I role. OK so I looked at this link you’ve provided finally. Wow what a beautiful house. Inside and Out! That front porch is a monstrosity. And though its quite creative, some parts of it rubs me wrong. Its like a giant mouth consuming you and the house. I’d have to find a way to recondition it. But most of the construction is in great taste and very creative. The kitchen would be gut job. I used to live in a village named Roanoke, that is just up the road from Huntington, In. In fact, my voting spot was the courthouse in Huntington. I used to go here, park the car, and just walk around Jefferson, and the streets around it (can’t remember the names of them right now). The houses are gorgeous, and most are kept up very nicely, with great landscaping. I have a friend that I still keep in touch with, who is from Anderson, and now lives in Roanoke. I sent her the photo of the rather sad house behind the cement (?) wall in Anderson, In, to see if she recognizes it, and knows if it is still there. What a wonderful house! 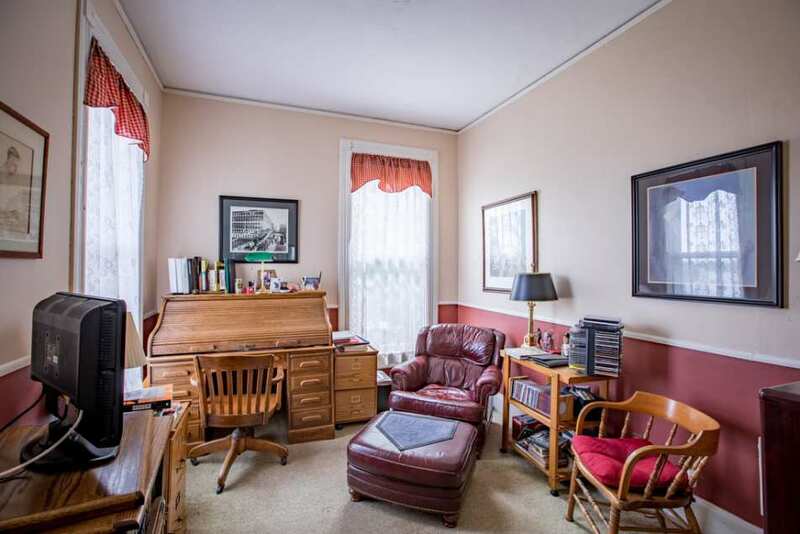 It is enormous and the exciting features are almost too many to list. 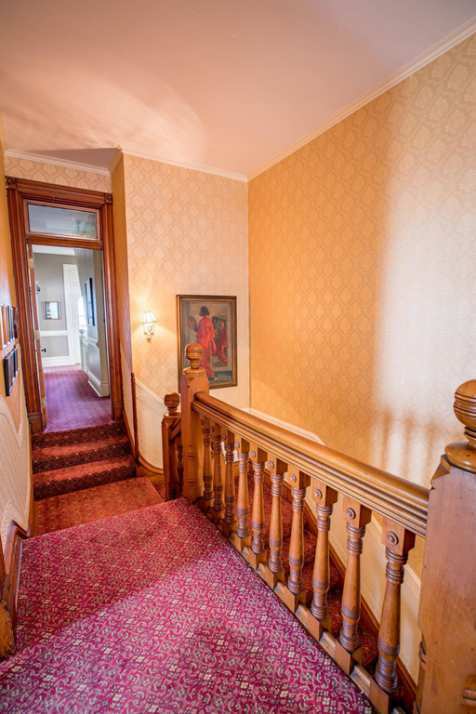 The sensational staircase and the delicious fireplaces, stained glass, back staircase and seemingly endless progression of rooms. 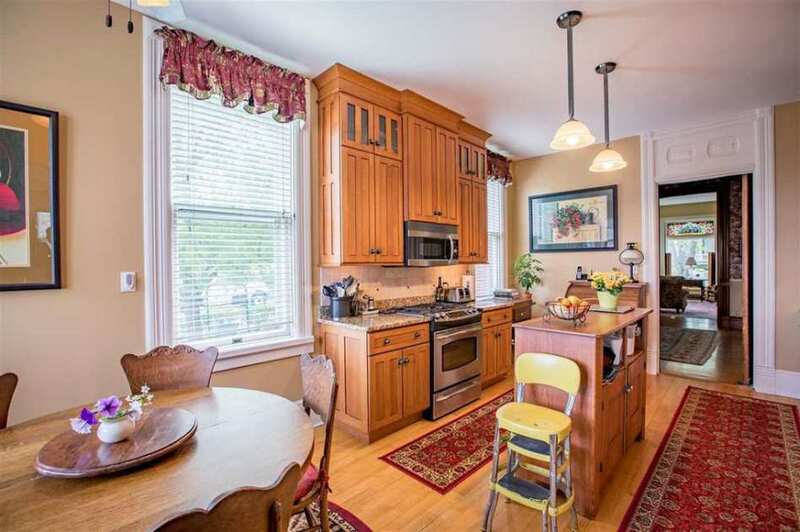 The decor is understated and the kitchen is convenient and useable without seeming at odds with the age of the house. The ‘updates’ seem to be understated as well. I love the ’80’s so this house is just right for me and having some space around it and a view are the icing on the many-layered cake. 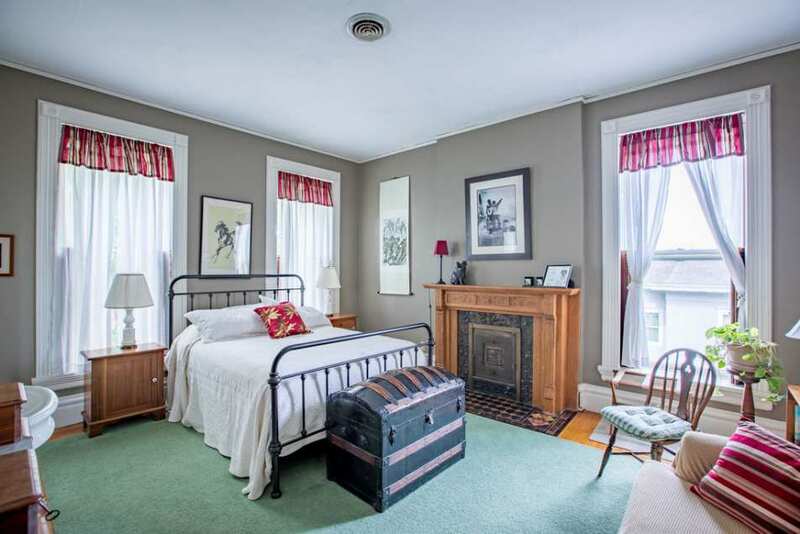 A well-loved house ready for a new owner. 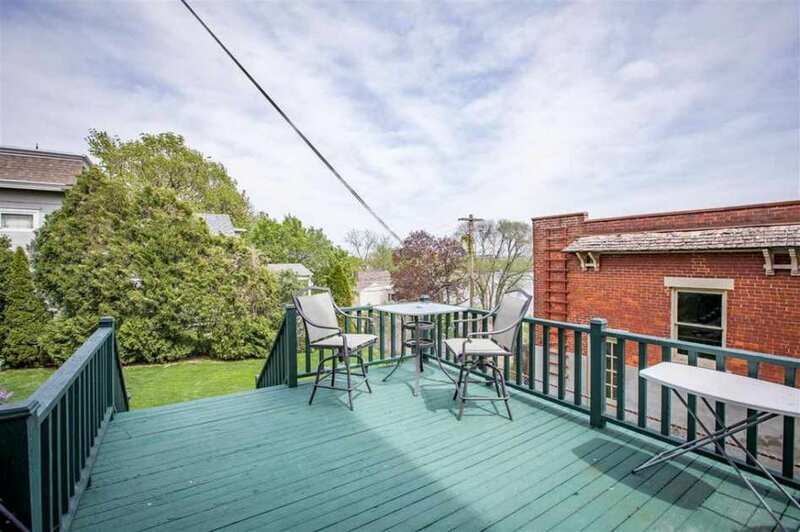 This whole street is jam-packed with goodies, many with later added decks and enclosed porches to enjoy the view of old man river. that house would be $800,000 or even much more! Spectacular! 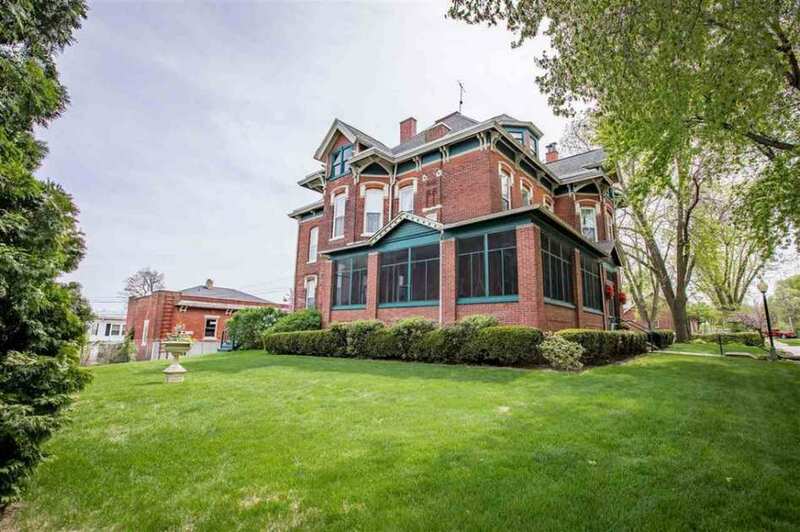 The 1880’s produced some of the finest homes built. 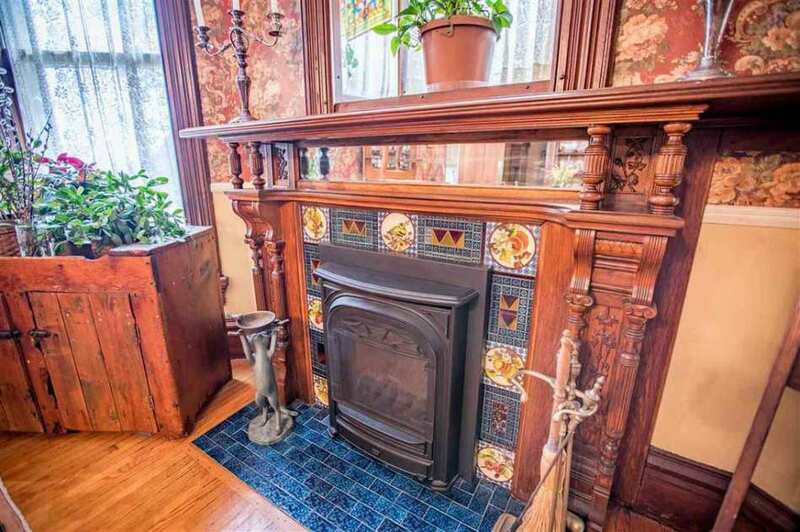 I love the fine intricate details in the stained glass windows and the fireplace tiles. 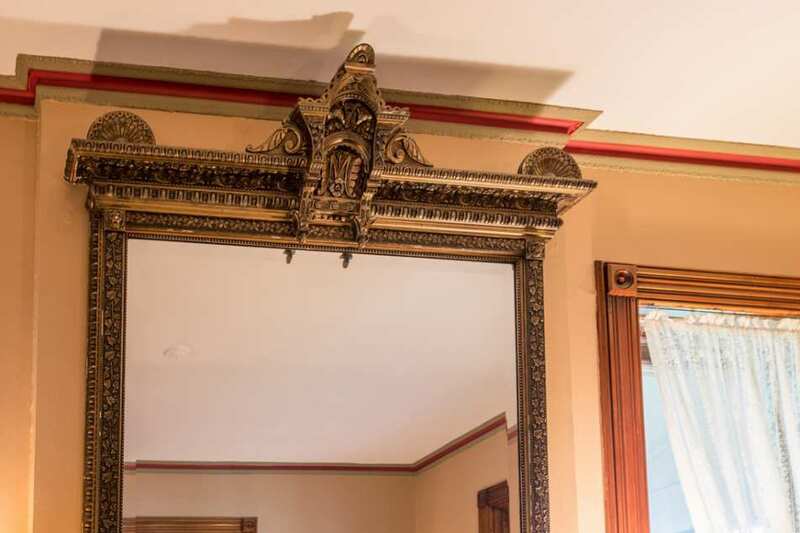 This kind of craftsmanship is hard to find most any home built after 1910. 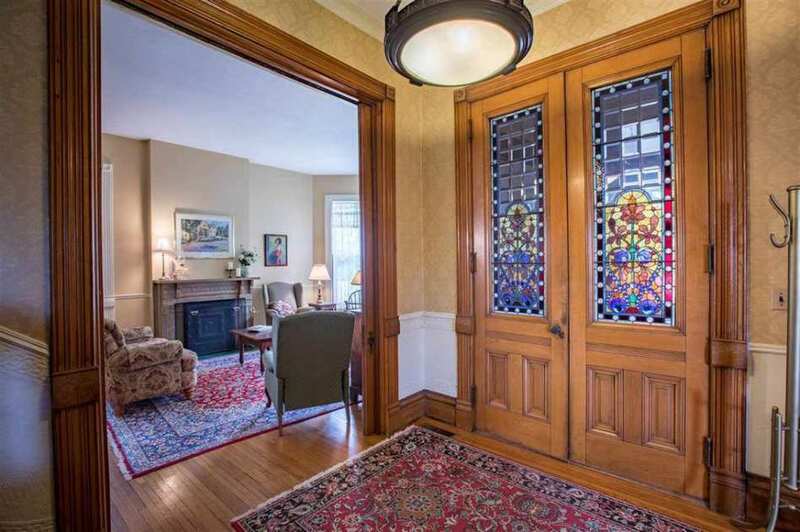 The stained glass in this Queen Anne is unusually pretty. Really gorgeous. I love every intricate detail of this home. The stained glass in the two interior doors at the main entry are stunning. 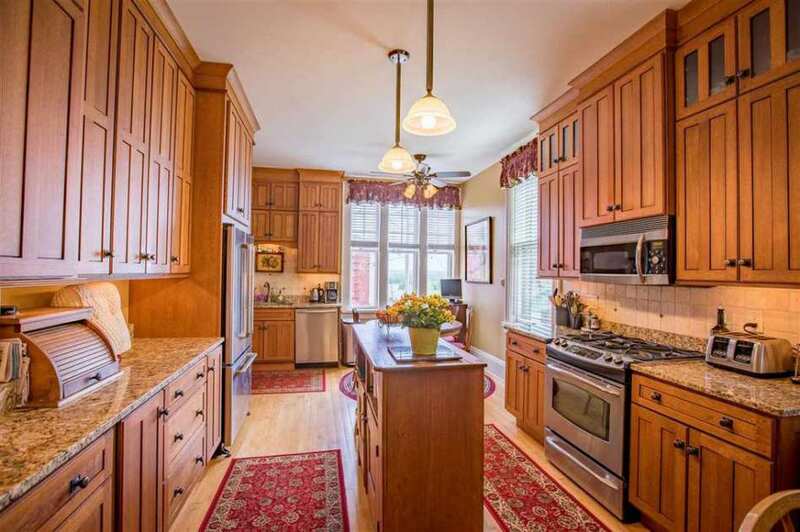 The kitchen is magical with so much room and storage! 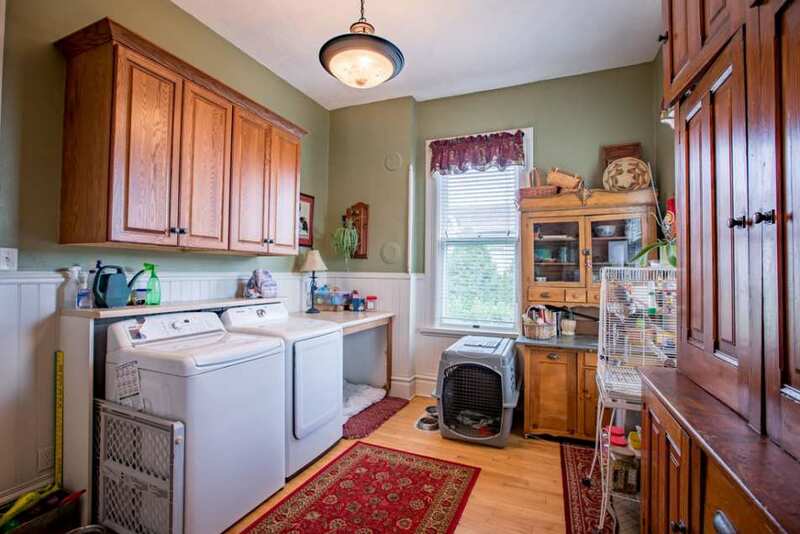 I rarely see kitchens like this in the older homes. Whether it’s updated or not, I lover it! 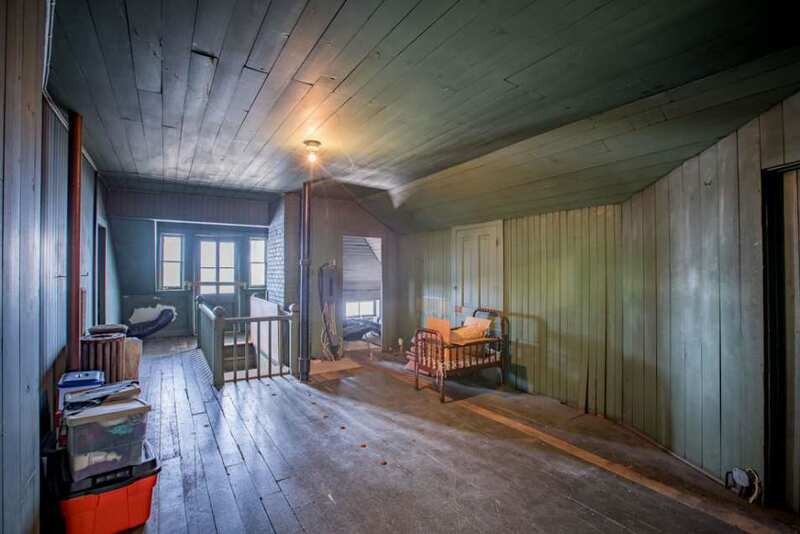 The attic mesmerizes me. What a wonderful place for the children to play. It’s all right on the mighty Mississippi This is the place for me! 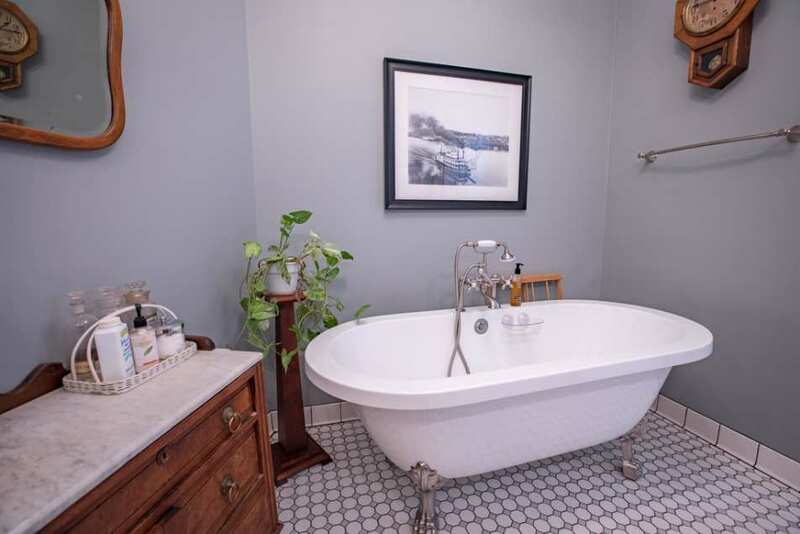 Stained glass, built in bookcases, and claw foot bathtub…everything I love ! Wow! This house is spectacular! The owners clearly have treated their house with respect. 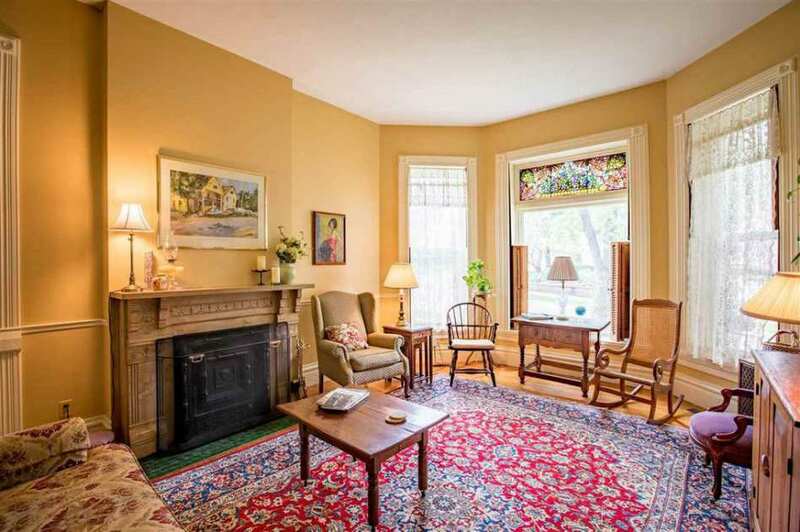 I love all the details like the stained glass windows and the mantles. 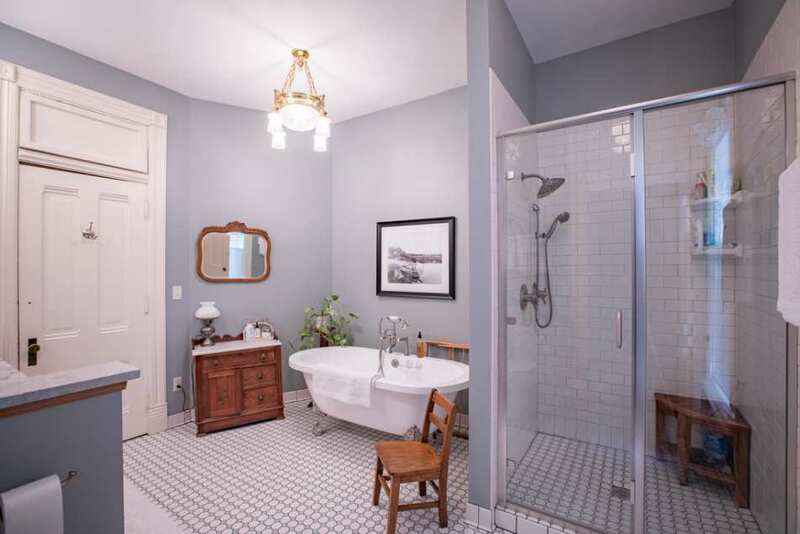 Great tile to go with the wonderful woodwork. The views are incredible. 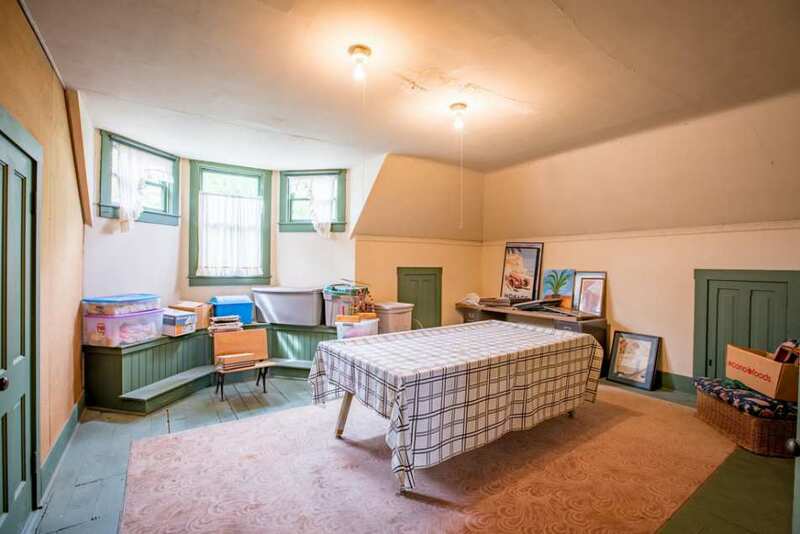 I know it’s not the focus of the house, but I love the attic too. I sure hope the next owners take good care of her. 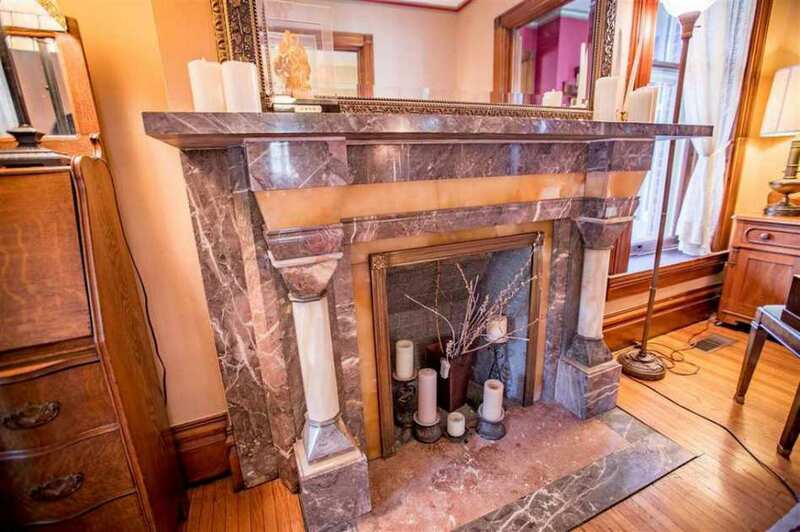 Those beautiful fireplaces MADE MY DAY! LOVE EM. 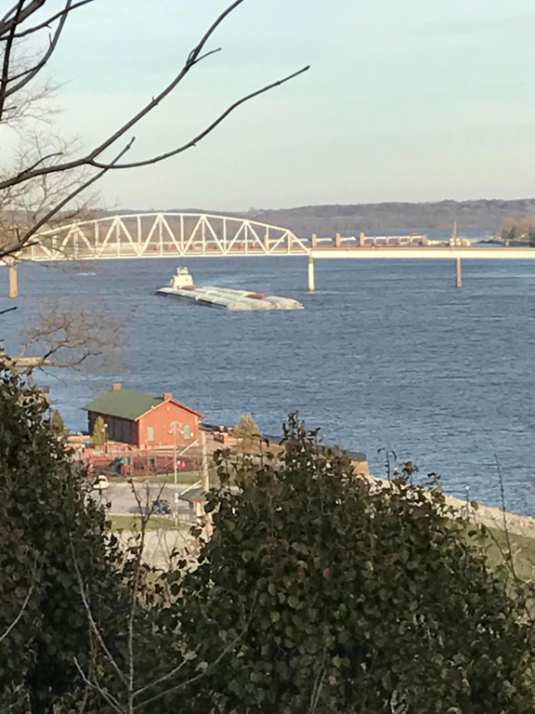 It’s hard to drive along this area of “The Bluffs” because I want to look at the Mississippi and then I want to see all the beautiful homes built when there was money from river related industry. 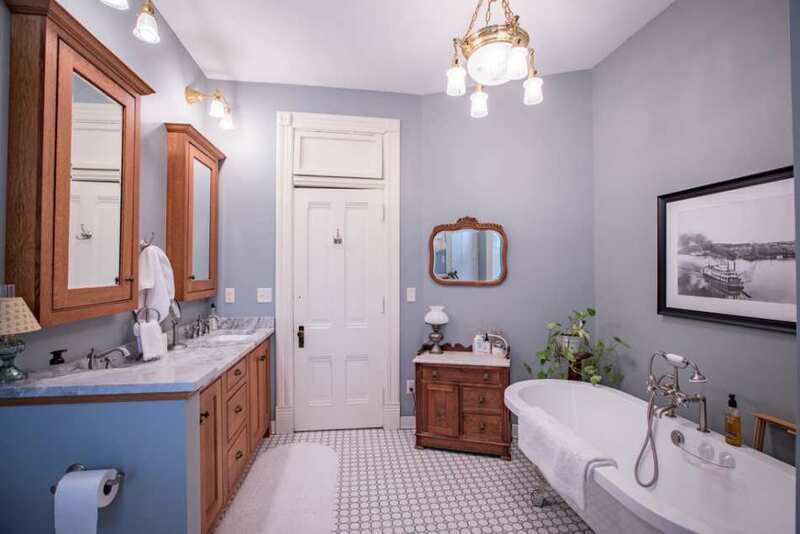 This home has refined dignity. Looking at the old photo of the house, appears it used to have roof cresting on the on flat of the roof as well as a ridge on the peaks. The original porch is beautiful. Such a gorgeous house! First outside, and then inside! 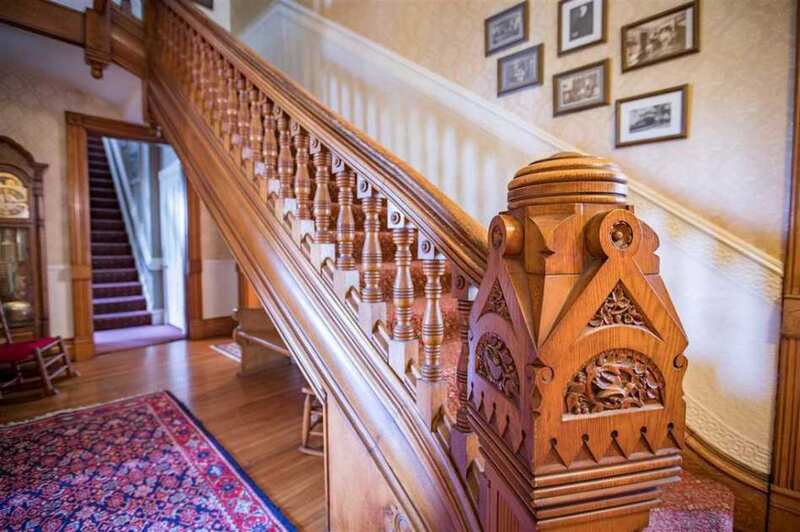 That newel post makes quite a statement! 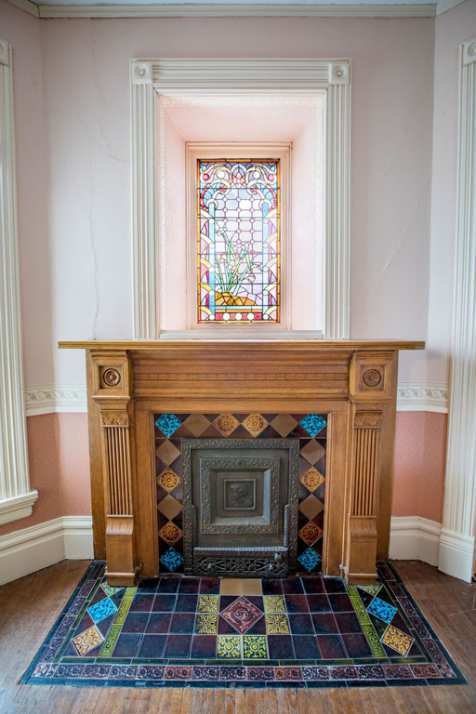 Love the marble fireplaces and colorful tiles surrounds, and the stained glasses. exquisite! 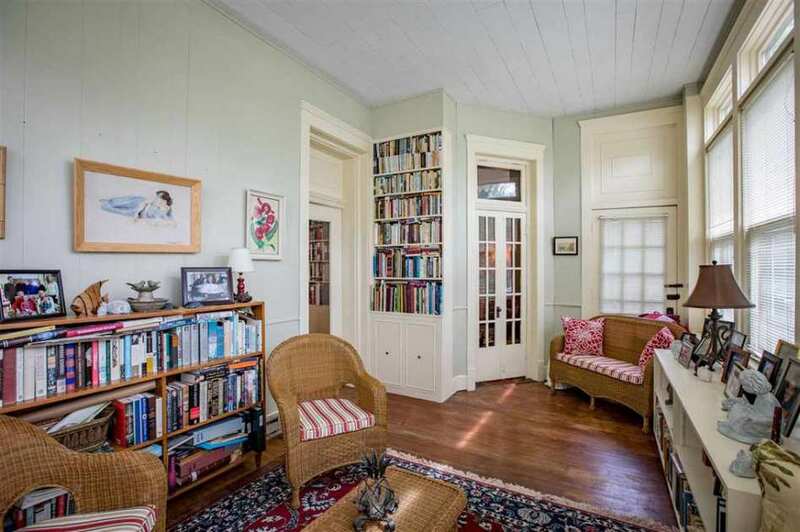 Sunroom, front porches, I don’t care-I love this house as it is now! I wouldn’t change a thing inside or out. EXCEPT…I’d dress up the square garage somehow. Put some kind of frippery on the roof or something. Anything, so that is not just a big square…thing.